Vendors lined the parking lot selling produce, plants, sweets, meats and more at the first Champaign Farmer's Market on Tuesday, May 5th. Another farmers market in the Champaign-Urbana area starts tonight (Tuesday, May 5th) - this one in Downtown Champaign. It is located in the parking lot next to the One East Main building which houses Big Grove Tavern and Kofusion. The Champaign Farmers Market will run every Tuesday evening through October 27th from 4:00 p.m. to 7:00 p.m. The Land Connection, a local non-profit that focuses on sustainable farming, is putting on the market. Executive Director Cara Cummings says that the market is an attempt for her organization to connect more with the general public. She says they spoke with the organizers of Urbana’s Market at the Square and felt like they would be able to fill a further need. There have been a few Champaign farmers markets over the years but none could really get a strong foothold. Cummings says The Land Connection’s market has a couple of things going for it. “One of the things that we have going on that’s different is a great location. We’re going to be right downtown. We are also an organization who has worked with farmers since 2001, about. So we have a really strong relationship with a lot of the farmers in the area,” said Cummings. She says the time of day will also help, and that she hopes that holding the market when people are getting off work will make it easier for people to stop by. “One of the fun things about having an evening market is that you go and do your shopping and then maybe you go in and grab a bite to eat or maybe grab a beer somewhere, we’re hoping that it’s kind of a fun evening vibe down there,” said Cummings. She says they also have been working with businesses in the area and a number of them have become sponsors, allowing them to make the market more affordable. “When we approached businesses about sponsoring the market, we decided that half of the sponsorship money would go to helping running the market, we are a non-profit, and the other half of the money was going to go to doubling SNAP benefits,” said Cummings. She says that people who receive SNAP benefits can come to the main tent, swipe their card and receive double the amount of tokens for up to $20 worth. 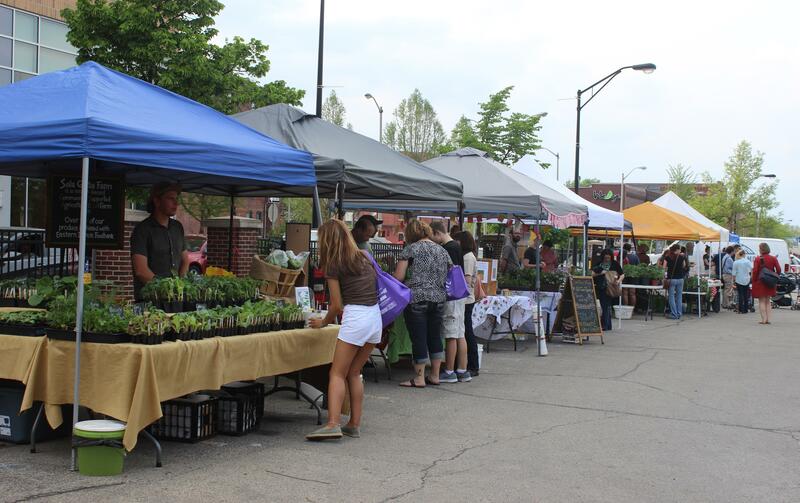 The Champaign Farmers Market will run every Tuesday evening through October 27th from 4:00 p.m. to 7:00 p.m.